Regina, SK (July 7, 2016) - Between August 18 and 21, eight baseball teams from around Canada will go head-to-head at Baseball Canada’s U21 Junior National Baseball Championship in Regina. Scroll down for pictures and video. Regina, SK (July 7, 2016) - Between August 18 and 21, eight baseball teams from around Canada will go head-to-head at Baseball Canada’s U21 Junior National Baseball Championship in Regina. 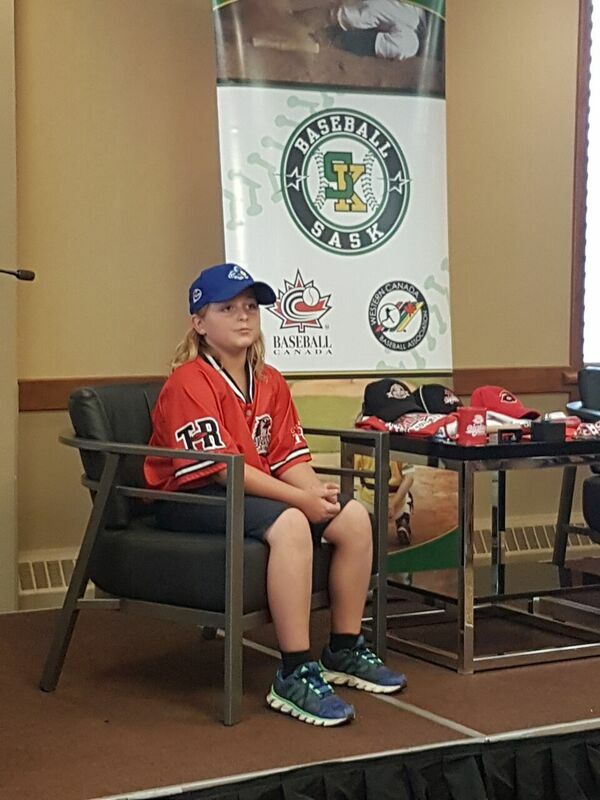 "Regina is a city that loves baseball, and players that participated in the 2015 championship saw ample evidence of that," said Mayor Michael Fougere. "Our facilities, our volunteer and hosting expertise, and ample accommodations mean our growing city is a perfect host to teams from across the country." Throughout the championship, the teams will be hitting the diamonds at Optimist Baseball Park and Currie Field. Spectators are encouraged to join the fun and cheer on their favourite teams. A kickoff barbecue will take place at Regina Optimist Baseball Park Aug.18 from 4:30 to 6:15 p.m., as well as the opening ceremonies which will include RCMP on horseback. "We wish to welcome the athletes and spectators travelling to Regina for the U21 Junior National Championship Baseball tournament. 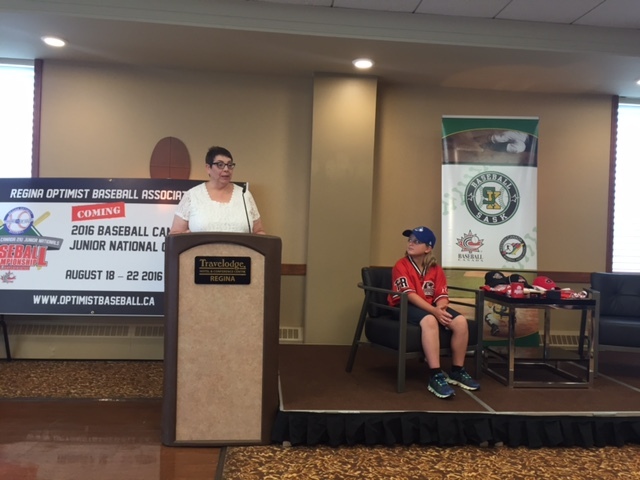 It is great privilege to welcome this tournament back to our community for a second straight year and thanks to the hard work of Regina Optimist Baseball, it is sure to be yet another successful event," said President and CEO of Tourism Regina, John Lee. 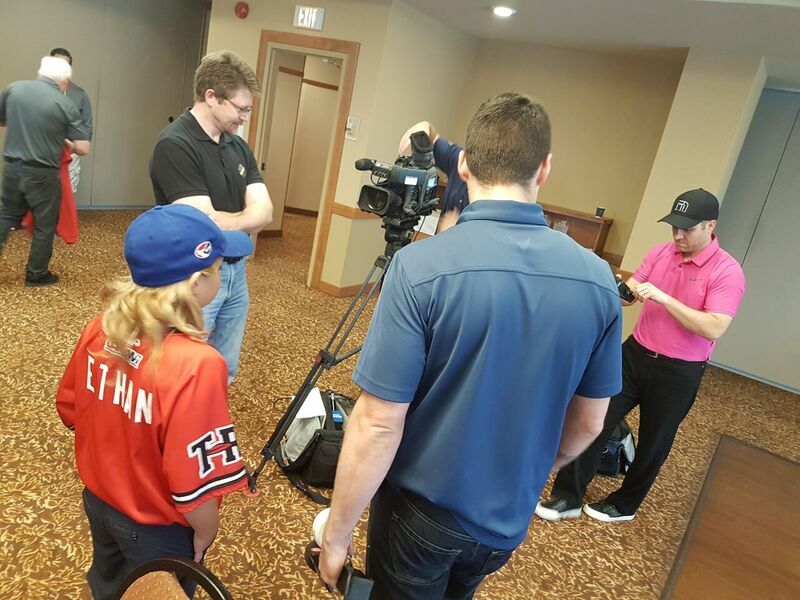 The Regina Optimist Baseball Association feels it is vital to foster players when they’re young to help provide them with skills and opportunities to succeed, as well as experiences to remember. An example of this is seen with MLB player Dustin Molleken, who has climbed to the top since setting his goals out during his young career playing at Optimist Park. 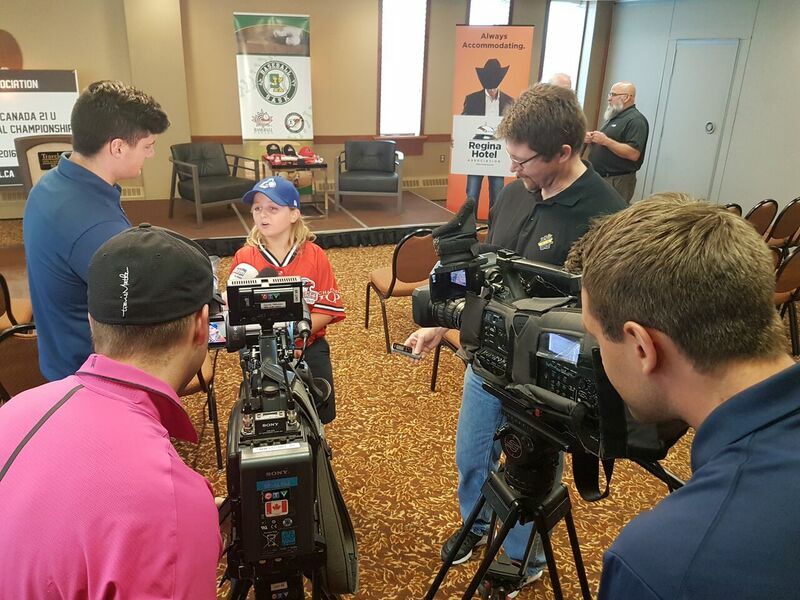 "Our mission is to promote minor baseball and hosting the Baseball Canada U21 Junior National Championship is a perfect opportunity to showcase the great talent from across Saskatchewan and Canada," Rod Palanuik President of the Regina Optimist Baseball Association said. 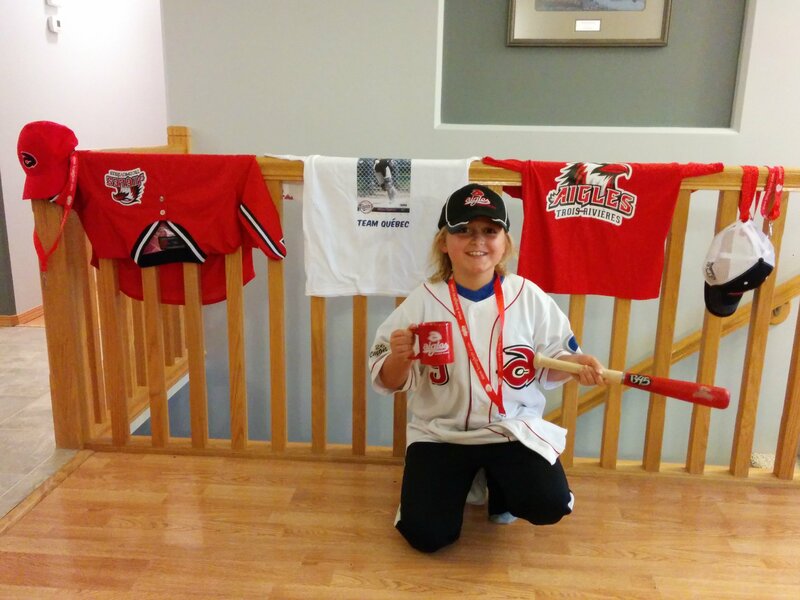 An example of this can be seen in the 2015 championship in Regina when 11-year-old Ethan Perron was asked to be a bat boy for Team Québec /Les Aigles De Trois Rivières. "When I first showed up I was extremely nervous, and the team welcomed me with open arms. After explaining what was going to happen on the field, the first thing the coach did was give me my own uniform for the tournament. There was not a day that went by where I didn't feel like I was part of the team," Perron said. "Before this tournament I was thinking of quitting baseball to play football instead, but this opportunity changed that. I saw what it was like to be part of a true team in those few days and someday I want to experience that with the baseball team I play for." Tickets for the tournament can be purchased at Western Cycle Source for Sports. For more information visit www.baseball.ca/21U. Regina Optimist Baseball Association Inc.
About the Regina Optimist Baseball Association Inc. The Regina Optimist Club has over 50 years of dedicated support to minor baseball and has hosted tournaments of all descriptions for leagues playing out of the park. These tournaments included Saskatchewan Baseball Association Senior Men’s Provincial and Midget AA and AAA League, Provincial, and Western Canada Championships culminating in 2011 with the prestigious Baseball Canada National Midget AAA Championship. Tourism Regina, an industry sector of Economic Development Regina Inc. (EDR), is the official destination marketing organization representing Regina and region. It works in collaboration with the Regina region’s tourism sector and industry partners to promote and enhance Regina as a destination experience. It also encourages the growth of the region’s tourism industry through the retention and development of attractions. The Tourism Division attracts visitors to explore Regina’s leisure, business and special event tourism, which account for $339 million of the regional economy. 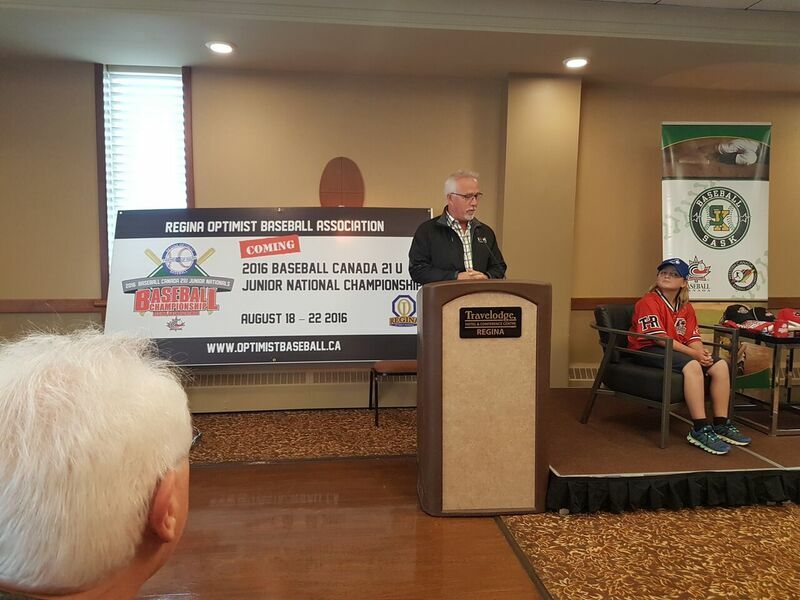 2015 Baseball Canada 21U Junior Championship, Hosted by The Regina Optimist Baseball Association, at The Regina Optimist Park, Aug 13-17, 2015, Official Media Release Video. The Regina Optimist Baseball Association Inc. and Saskatchewan Baseball Association are pleased to announce that the 2015 and 2016 Baseball Canada 21U (Junior) National Championship Host has been awarded to Regina, Saskatchewan. Tourism Regina, a division of Regina Regional Opportunities Commission (RROC), in partnership with Regina Hotel Association, works to position Regina as a premier destination for events of all kinds. They have been instrumental in securing major events for the city including the Juno Awards, BMO Skate Canada Challenge, Canadian Gymnastics Championships, Canoe/Kayak Sprint National Championships, Ford World Men’s Curling Championships, and a long list of many more prominent events. 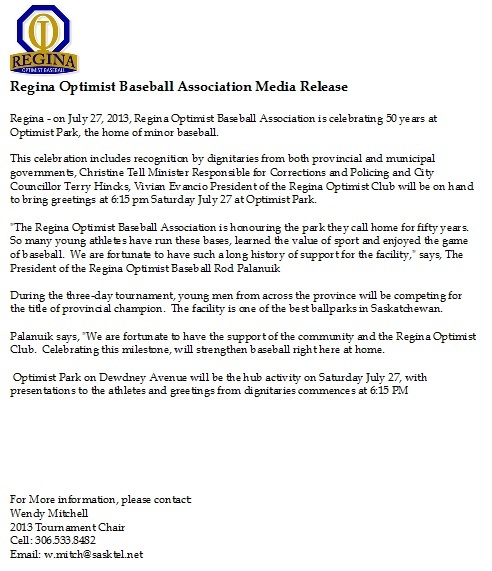 President – Regina Optimist Baseball Association Inc.
Regina Optimist Park Celebrates 50 Years of Baseball, Celebrations: (Saturday July 27, 6PM at Optimist Park Regina, 6200 Dewdney Av West! 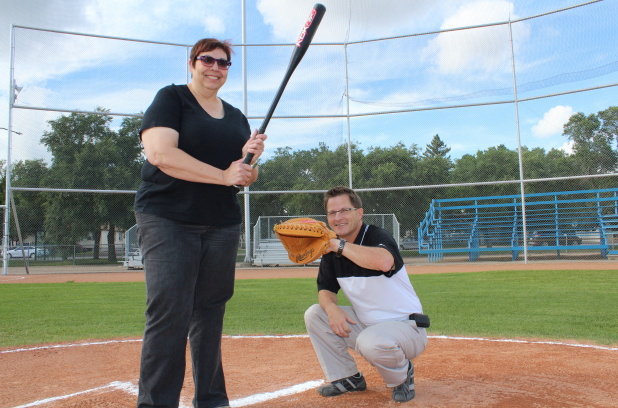 Regina Optimist Baseball Association volunteers Wendy Mitchell and Brian Rankin encourage members of the public to join the festivities Saturday night celebrating the baseball park's 50th anniversary. Host to countless tournaments and minor-league games over the years, Regina Optimist Baseball Park is marking its 50th anniversary with a birthday bash this week. On Saturday, Mayor Michael Fougere, provincial cabinet minister Christine Tell and other boosters will commemorate the facility during a special celebration, free to the public. “Our celebration ceremony will start at 6 p.m. (and) we’ll be having cake and some baseball,” said Wendy Mitchell, vice-president of the Regina Optimist Baseball Association, which runs the facility and provides most of its capital funding. The ceremony will also act as a kick-off for this weekend’s provincial midget baseball championship, one of many top-tier competitions hosted at the Dewdney Avenue field every year. 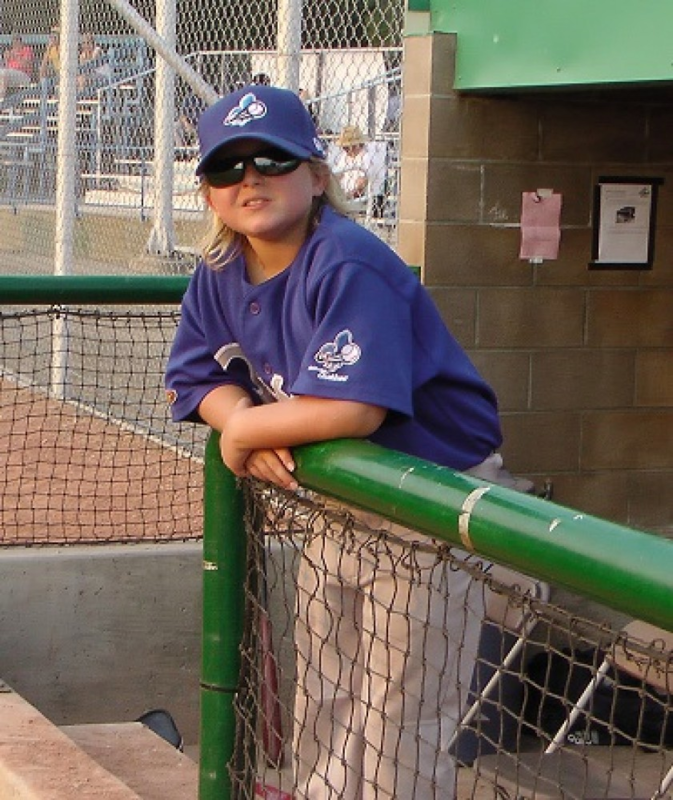 The families and players flocking to the park — which hosted a children’s baseball camp run by the major-league Toronto Blue Jays in 2011 — provide a crucial boost to Regina’s tourism industry, Mitchell said. Construction of the park was completed in 1963 after the City of Regina agreed to terms with the local Optimist Club — an international charity dedicated to improving the lives of young people. The Optimist Club continues to maintain the facility with an all-volunteer staff, except for a seasonally employed, full-time groundskeeper. Park association vice-president Brian Rankin said the group deserves praise for its stewardship and financial support of the facility. “Regina should pay honour to the Optimist Club and all the money they spent in 50 years on this park,” he said. 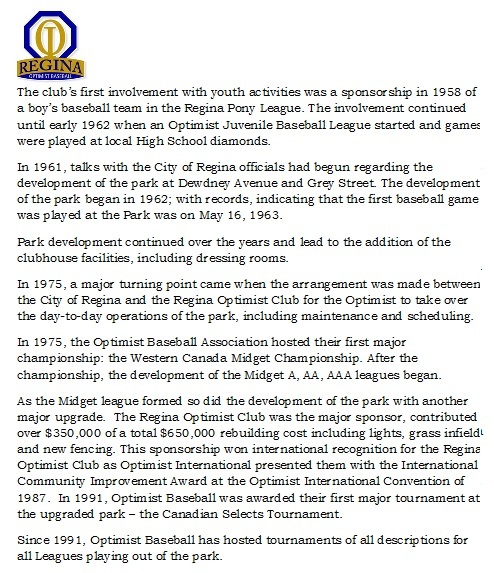 The Regina Optimist Baseball Association is commemorating the 50th birthday of Optimist Park. To mark the occasion, a ceremony will be held at the west Dewdney Avenue baseball diamond on Saturday, during Saskatchewan Baseball's midget AAA championship tournament. A program that is to begin at 6:15 p.m., will include greetings from Regina Optimist Club president Vivian Evancio, city councillor Terry Hincks and provincial corrections and policing minister Christine Tell. The agenda will also include presentations to the athletes. "The Regina Optimist Baseball Association is honouring the park they call home for 50 years,'' Rod Palanuik, president of the ROBA, said in a media release. "So many young athletes have run these bases, learned the value of sport and enjoyed the game of baseball. We are fortunate to have such a long history of support for the facility.'' The first baseball game at Optimist Park was played May 16, 1963. In 1975, the Optimist club made an agreement with the City of Regina to assume control of the park's operations, including maintenance and scheduling. The first major tournament hosted by the ROBA was the 1975 Western Canadian midget championship. Over the years, the park has been upgraded - most significantly when the Optimist Club contributed $350,000 toward an overall renovation cost of $650,000. That project included the installation of lights and new fencing, along with a new grass infield. The first major event at the upgraded park was held in 1991, when the Canadian selects tournament was awarded to Regina. Various tournaments have been based at Optimist Park since then, along with baseball games featuring teams from local minor and senior leagues. 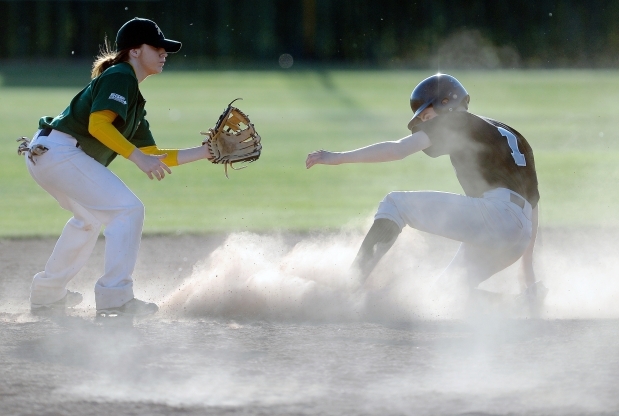 This weekend, the provincial midget AAA championship will be held at Optimist Park and Currie Field. The first two days of the tournament are to consist of round-robin play for the eight teams that will be competing for a berth in both the Western Canada and national championships. The games today at Optimist Park are between the Regina Mets and Regina Wolfpack (11 a.m.), the Saskatoon Giants and Saskatoon Cubs (2 p.m.), the Saskatoon Diamondbacks and Regina Athletics (5 p.m.), and the Southeast Twins and Moose Jaw Devons (8 p.m.).